Solidarity Rounding travel agency 'Atrápalo’ of May will support 'SOS Ukraine', a program designed to help children who suffer the consequences of war that exists in that country, with 3,7 million people affected, 2,9 million people without regular access to drinking water, 500.000 Children at risk for polio and other 1,5 millions of children who suffer from cuts in access to regular education, among other data. Because of the war and the country's poverty, in Ukraine there are many children living in orphanages and in difficult circumstances. about 80% of these children have a parent but encounter serious problems, as extremely poor, disease, alcoholism, drug addiction, in prison or related abuse. To meet 16 a&ntilde;os, These children are on the street and most end up being victims of the mafias, prostitution and crime. 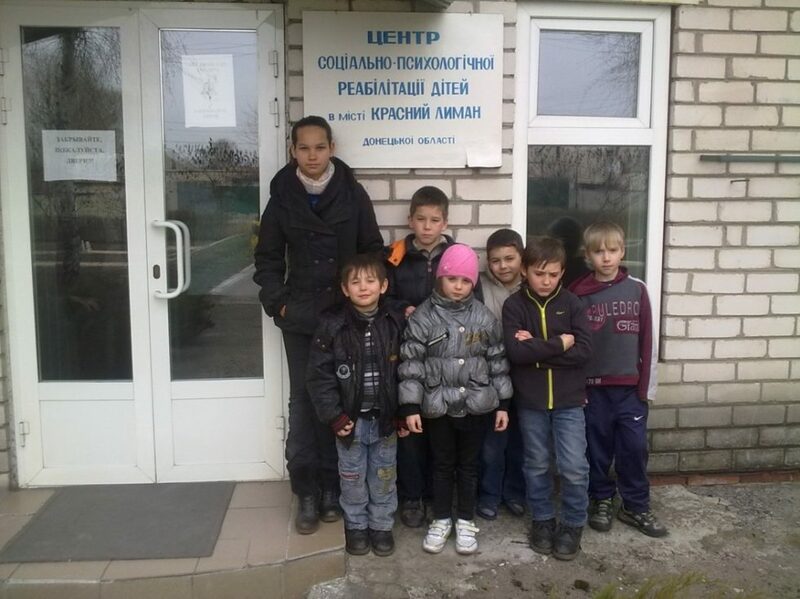 Because of this reality, and at the request of the Ukrainian Government, Ukraine SOS program was created, forming and helps children Orphanage-Sanatorium Zhuravno, in the Lviv region, West of Ukraine. One of the actions of the program is to provide these children a temporary host families from other countries, an experience that gives them positive references, good models and values ​​that can only be received properly in the family environment. The fact feel loved and valued, as one family, It provides children's self-esteem and stability necessary for proper personal development and to face the difficulties of integration in a society with many problems. the project's goals do not end with the reception, but bonding with family enables continuity of support and provides opportunities to prepare the desired hopeful future. The results of this program are highly positive for all, children and families. since 12 years have gotten over 300 Children leave this circle of poverty and are now professionals in their country with a dignified life. Rounding of May, in the travel category, It will cover part of the travel expenses of 28 children from the orphanage this summer, when they travel to Spain to be hosted by different families of Catalonia, within which they will receive that love and family warmth, which provides them with educational referents facing a bright future. Rounding solidarity are those cents more you can donate to make a purchase. In Atrápalo They undertake to fold and destine to social causes. Adem&aacute;s de SOS Ukraine, vhelpCooperates projects. Twenty-four Ukrainian children arrive tomorrow to Spain to spend the summer in our country hosted in families in Catalonia. The host program takes making 14 years and this summer has been organized by the NGO Coopera, through its responsibility in Barcelona, Rafael Moreno, who will coordinate the activities. 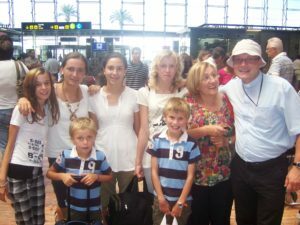 Moreno, in the company of host families and the director of Coopera, David Chimeno, He will greet children at El Prat Airport, Tomorrow at 19.00 hours. Most of these children, 19, come orphanage-sanatorium Zhuravno, in the region of Lviv, in Western Ukraine, while the remaining five are children whose parents are or have been in front of Donetsk, in the fighting and stress situations that have lived in this area. Children are accompanied by two monitors and remain until 30 August in Spain welcomed in families of Barcelona and Tarragona. The Spanish NGO development cooperation, COOPERA, He has begun work on 2015 an 'SOS UKRAINE' project to help children in precarious situations. The project is aimed at improving the health of these children, provide them good training and -very important- to strengthen their self-esteem, in order to make them easier integration into Ukrainian society problematic when they leave the orphanage. In fact the role of host families is essential to provide good models and transmit values ​​that can only be received properly in a family atmosphere. Because the fact of feeling loved and valued as one of the family provided them security and emotional stability. adem&aacute;s, the bond with the family does not end with the summer, it provides opportunities to prepare them a more hopeful future with the help of their families. In Ukraine there are thousands of children living in orphanages in very different circumstances and quite difficult in general. about 80% of these children have parents but their families experience extreme poverty, disease, alcoholism, drug addiction, prison, Also ill-treatment ..., The war is causing rapid deterioration of the situation.